Now that the iPhone XS, iPhone XS Max and iPhone XR have gone on sale, we can start turning our attention to the 2019 batch of iPhones coming next September – and we've already got one insider tip about what might be arriving with next year's Apple handsets. 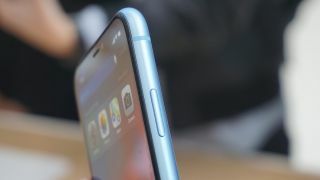 According to Apple analyst Ming-Chi Kuo – who has a very respectable record when it comes to predicting Apple's hardware moves in advance – the 2019 iPhones are going to arrive with different types of antenna technology. The new antenna will apparently produce more reliable performance as Apple pushes towards 5G in 2020. As 9to5Mac reports, technically the switch is going to be from Liquid Crystal Polymer antennas to Modified Pi antennas, primarily to improve yield rates and simplify the production process, to make sure you can get your iPhones on schedule next year. As for the actual impact on performance, there won't be much difference for calls or data – the 2019 iPhones will still have six antennas built into them, though Apple might be able to strike a better deal on component prices, according to Ming-Chi Kuo. It's still very early days for 2019 iPhone rumors, though you can now consider the speculation to have officially started. We've already seen tipsters predicting that the next batch of Apple handsets will drop 3D Touch, while the aforementioned Ming-Chi Kuo has also said that the 2019 phones are going to offer improved Face ID scanning. One of the big unknowns is what exactly the 2019 iPhones are going to be called. The iPhone XS 2? The iPhone 11? There are a few different ways Apple could go with the naming system next time around, and it'll be interesting to see which route they take.